When I was younger, my parents owned a cottage that we frequented every available weekend. They had purchased the cottage in an area where friends of theirs also owned property. Every weekend my parents would use our fishing boat to jet across the lake to visit their friends, and while they were drinking and having grown-up conversations, I was hiding out playing the Sega Master System, which was kept in their living room. I have fond memories of the Master System despite not owning one of my own. I spent hours playing games like Aztec Adventure, Back to the Future, and Double Dragon. I’d make great progress in those games before my mom would yell that we were heading home. However, there was one game in their collection that would haunt me every time I booted it up: Phantasy Star. 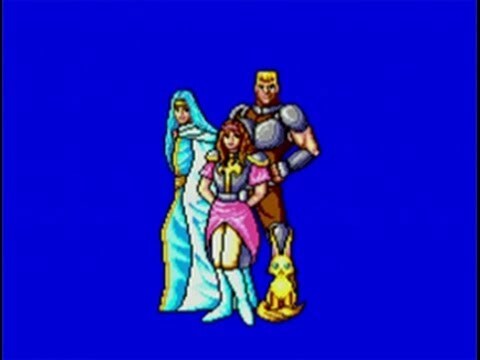 I loved the opening of Phantasy Star, because for the longest time as an NES and SNES owner, there were not many games that featured a female lead. I clung to Alis’ identity in the story, and every time I booted up the game I was greeted to the story of the Algol Star System in peril, and Alis’ quest to avenge her brother and defeat the evil overlord, Lassic. If anything, I could recite this opening by heart. I had finished many RPGs as a kid, from Super Mario RPG to Chrono Trigger, but I was always annoyed that I could never get very far in Phantasy Star. It’s a tough game, no questions asked. It isn’t great at guiding the player to where they needed to go, the random encounter rate is insane, and most of the time as a kid I couldn’t make it safely out of Camineet. Enemies in the first area of the game are merciless, and it is easy to be overwhelmed if there is more than one enemy during combat. Still, I had so much determination that I was going to make it through and go onto the next task of the game, but unfortunately childhood me never got the chance. Twenty years later, I finally beat the original Phantasy Star. When Sega released the Sega Ages edition of Phantasy Star for the Nintendo Switch in 2018, it changed my life. The Ages edition includes a reduction in the encounter rate and a map that players can use to help guide them through many of the game’s first-person dungeons. Being able to see where I was going and where I had already been was such a game changer. Who knew such improvements would create a better quality of life for a twenty-year-old game! I spent the entirety of February engrossed in my adventure. It was amazing to move beyond Camineet and find out more to Alis’ story. While parts of the game haven’t aged well, it is certainly a game that has been translated with a surprising amount of care. 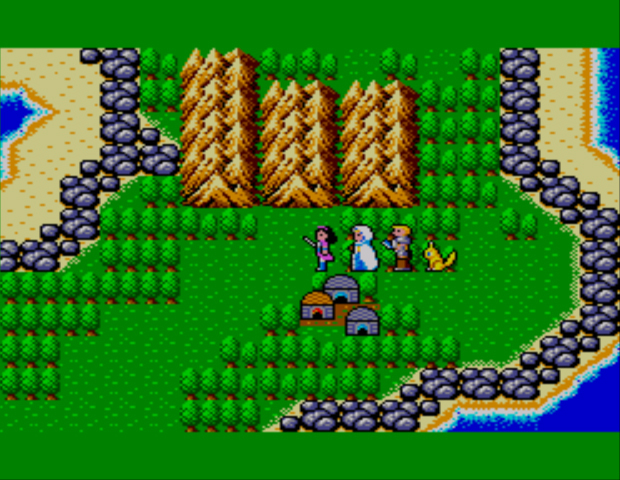 In my mind as a kid, Camineet was the entire game, but as an adult, it was crazy to be able to go back and visit Motovia and Dezolis, which were areas I was familiar with when I completed Phantasy Star IV on the Genesis back in 2011. Seeing the Algol System’s humble beginnings was wonderful. I think a lot of people are wondering why I bothered to go back to a twenty-year-old game that I had a bad experience with. Truthfully, I had a hidden dream as a kid of wanting to beat Phantasy Star, and when that Master System stopped working, my dream died in a way. While Phantasy Star appeared on the GBA and the Sega Classics Collections, I still never made it as far as I wanted. Sure, the Ages edition tones a few elements of the original game down, but it’s still hard as heck. However, my resolve to complete it was just as strong. It feels amazing twenty years later to finally see the end of Alis’ story, to see a protagonist I loved become such a strong-willed and determined woman by the end. She was the first protagonist I ever identified with, and part of me felt that completing the game was the only way to get closer to her. Perhaps to some, my story of needing to finish Phantasy Star seems stupid. In a way, it is. It’s crazy to think that I needed to complete this game and only managed to twenty years later using a version that has been simplified. Finishing it has brought me a lot of peace and it feels like a piece of gaming shame that I could finally put behind me. While we are seeing more female-led games, Alis is the original heroine for many of us who grew up in the early 90s. She gave us hope that there would be more fantastic leading ladies in the future. Playing through Phantasy Star at thirty-two and being a much more seasoned RPGamer allowed me to reminisce about my life. I spent so much time at my parents’ cottage, hanging out in the forest with a stick that I imagined was my sword, and I was replaying Alis’ story over and over again. I imagined my tree fort as Alis’ home, and I believed that I was defending my home from Lassic while protecting the Algol Star System. I’d stay out for hours on end until my mother called me in for dinner. As much as I was a silly kid who could never get past Camineet, I never denied that Alis was not apart of me and my adventures growing up. As each summer rolled on, Alis faded and a new heroine would take over my imagination, but she was never truly forgotten. Having completed the Ages edition only reminded me of how strong my bond was with this fictional character. Alis and Phantasy Star were a part of me, and seeing her story all the way through twenty years later was one of the most meaningful experiences in my gaming life. Great job! Even if I know it not as a good game as in my memories, it still have special place in my heart! I beat Phantasy at the age of 16 on the GBA, which infamously included a glitch that would crash the game when saving sometimes. 😛 I thankfully only encountered the glitch twice and not at all on a later playthrough. I played this as someone who experienced the then-current Phantasy Star Online: Episodes I & II and wanted to explore the franchise’s roots. I liked the game, even back then. I talked about Phantasy Star on the RPGCast, but I also didn’t finish this as a child (I’m not even sure I tried it) and wasn’t interested in trying it as an adult until the SEGA Ages version. I love the idea of melding classic games with modern accessibility like maps, and I hope there’s more RPGs to come! Once upon a time, I plugged Phantasy Star into a cartridge convertor on my Game Gear, and then sat by a power outlet for hours at a time, grinding and grinding and grinding. It was my introduction to JRPGs, and I absolutely loved it. After I don’t know how many hours, in the days before internet and with no access to a guide, I reached the final boss – and just couldn’t beat it. About a year later, I thought I’d give it another go. However, on plugging it in, I discovered the battery backup save had run out of juice … And so I started another campaign, putting in the hours until I reached the final boss (though this time at least I knew roughly when to look out for trapdoors). Once more, however, I just could not beat the last boss. I’m pretty sure I sat and played through Phantasy Star a third time in the 1990s, but I can’t remember if I had the patience to reach the end again. I’m not sure I could go through it for a fourth time – but I’m glad others are getting the chance to enjoy a friendlier version these days. I’ve since seen the ending on YouTube. That’ll have to do.